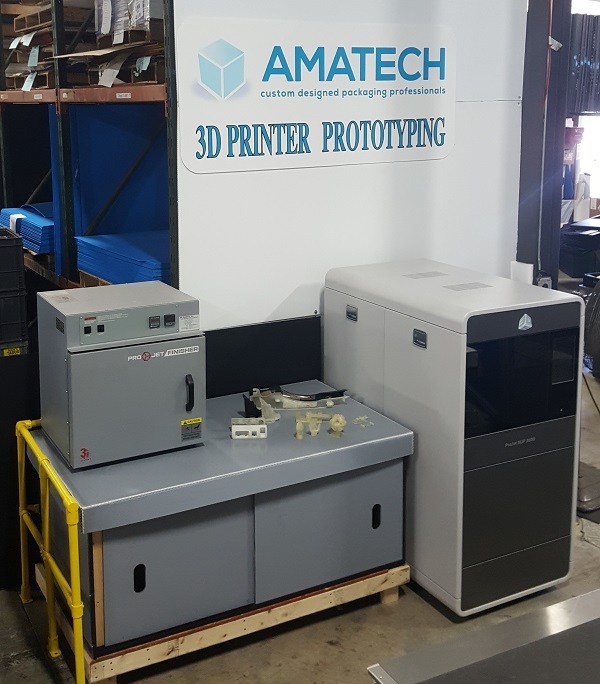 Amatech now has 3D printing prototyping capabilities for package prototypes, R&D and low volume production using a large format 3D printer available in our prototype department located in Erie, PA. 3D printing technology allows us to make three-dimensional objects from a digital file. When we build your prototype, we can ship the 3D printed part so you can ensure the packaging will work for your products. 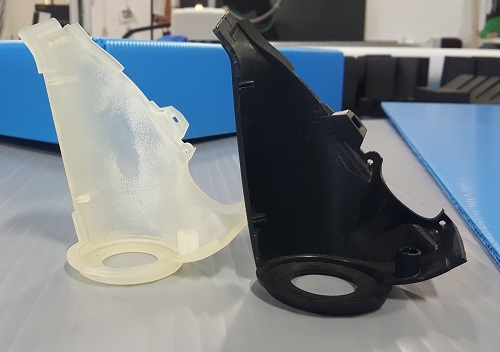 Why Do We Offer 3D Printing for Your Prototype? How Can 3D Printing Help You? Modernize and transform conventional processes by incorporating solutions for manufacturing, design, engineering, inspection quality and beyond. 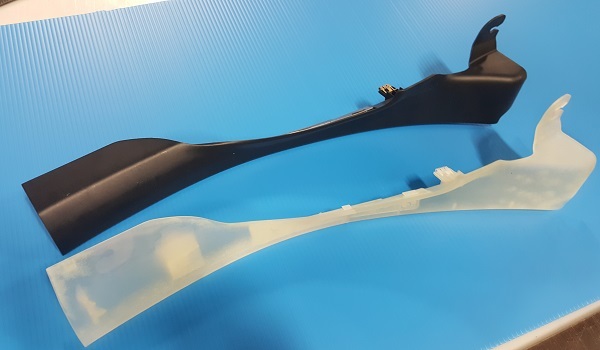 3D printing allows engineers, designers, managers, and operators to check designs for usability, appearance, fit and function prior to committing to traditional processes. Providing efficiency, accuracy, and trust in design. 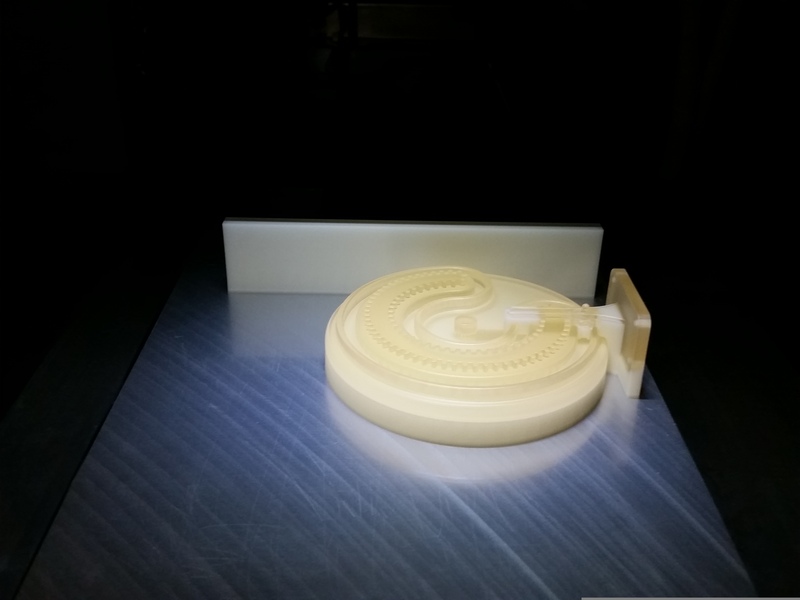 We have 3D capabilities for prototyping, R&D, and small lot production. Our in-house engineering team and sales team will be available for you through the entire process, offering expertise along the way for your 3D printed project. 3D printing transforms designs into a physical object. Whether we create a prototype to ensure your product fits perfectly in our custom returnable packaging or we create a part to improve process planning - all solutions provide cost savings and efficacy to your process. 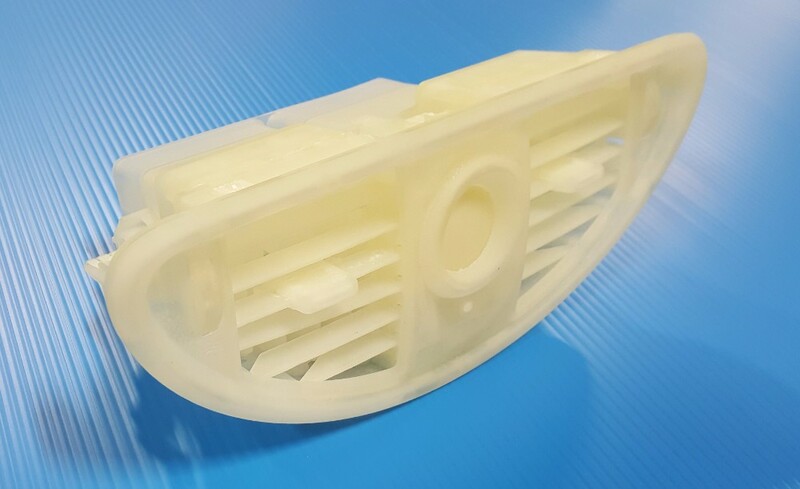 3D printer prototyping technology at Amatech is a helpful tool to give customers the precision they expect by providing our team with part data in order to determine the packing density and other critical details. 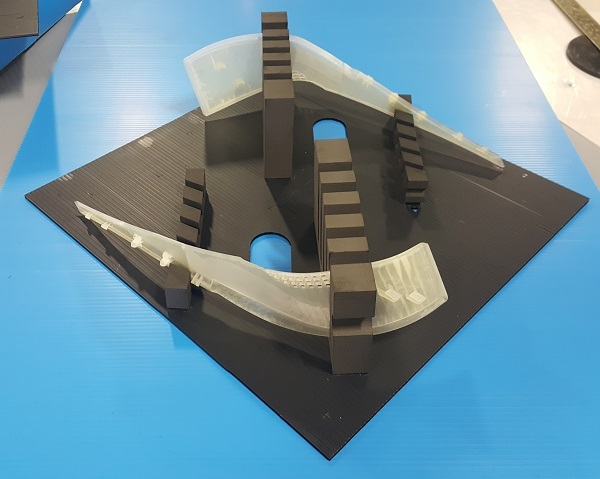 3D printing prototyping technology at Amatech is a helpful tool to give customers the precision they expect by providing our team with part data in order to determine the packing density and other critical details. By using this revolutionary 3D printing machine, we can help by saving time, money and manpower on both the purchasing and manufacturing end of your highly sustainable, reusable returnable packaging. We still offer a full virtual package design in our CAD software, which is the first step of the process. Get in touch with our team to learn more about 3D printing capabilities at Amatech in Erie, PA.
1.Moving parts printed fully assembled! Expert sales and engineering team. Offer design and fabrication of all types durable, reusable packaging. We will always respect your customer relationships. We depend on your direct customer service to them. We will help educate your sales force on features, benefits, and marketing of returnable packaging. We will offer you high priority customer service. We will offer you preferred pricing. We are your resource for design, quoting, prototyping, and production. We take pride in meeting or exceeding ship dates. All projects are designed and manufactured to your customer specifications. We provide fully functional samples. 48-72 hour prototypes and pricing.